Vancouver, B.C. 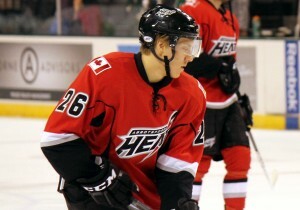 – Vancouver Canucks General Manager Jim Benning announced today that the Canucks have acquired Markus Granlund from Calgary in exchange for Hunter Shinkaruk. Vancouver, B.C. – Vancouver Canucks General Manager Jim Benning announced today that the Canucks have acquired defenceman Philip Larsen from the Edmonton Oilers in exchange for a conditional fifth round pick in the 2017 NHL Entry Draft. Larsen, 26, has spent the 2015-16 season with Jokerit Helsinki of the KHL where he has accumulated 38 points (12-26-38) and 39 penalty minutes in 54 games. The 6’1”, 183-pound defenceman has also appeared in 125 career NHL games with the Dallas Stars and Edmonton, recording 31 points (8-23-31) and 42 penalty minutes. With the Canucks’ playoff hopes all but gone at this point in the season, it was widely thought that the coaching staff should be giving more ice time to many of the team’s rising young stars. Lately, these players have stepped up their games in a big way, and have certainly warranted more ice time as the season winds down. Since the Alex Edler injury, rookie defenceman Ben Hutton has been playing upwards off 22 minutes a night alongside Chris Tanev on the top defense pairing, while replacing Edler as the quarterback of the top power play unit. Additionally, up front, Linden Vey continues to play some of his best hockey of his NHL career, adding another two assists Thursday against the Ottawa Senators; while Emerson Etem is heating up, with two goals against the Senators as well as some chemistry that appears to be developing with Vey. Meanwhile, Jake Virtanen and Jared McCann continue to play solid, safe hockey in the bottom-six, and Markus Granlund put up an exceptional Canucks debut on Thursday. If recent signs are any indication, the remaining part of the season could be a fun for those that have been hoping for a youth movement from the club. With the trade deadline just a day away, the Canucks have some decisions to make. 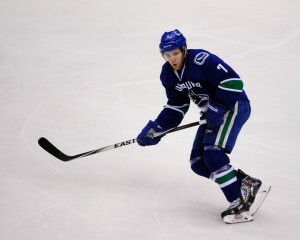 Aside from the obvious ones – Dan Hamhuis, Radim Vrbata and others – they may end up testing the market on Danish forward Jannik Hansen. Through 56 games this season, Hansen has 19 goals and 32 points, which marks a career high in goals, and a points-total that looks to comfortably top his previous best (39 in the 2011-12 President’s Trophy winning year). While playing on the top line with the Sedin twins certainly helps, they may be able to nab a decent package for the speedy forward. In addition to his offensive output – which appears to be projecting in the 25-goal, 45-point range – he provides consistency, forechecking and speed to any lineup. 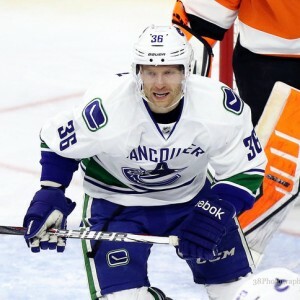 Hansen, 29, has established himself as a tremendous penalty killer through 526 NHL games, as well as a versatile player that can slot in anywhere from lines one-through-four. While it’s far from likely, there’s still a chance that Hansen could be dealt by February 29th, and should he be, Vancouver could likely get him in exchange for a nice return.